Are You Living Creation Healthy? As you know by now, CREATION is an acronym and each letter principle affects our overall health and well-being. C is for Choice, R - Rest, E - Environment, A - Activity, T - Trust, I -Interpersonal Relationships, O - Outlook and N - Nutrition. Click HERE and take the "Are You Living Creation Healthy?" quiz to find out where you are on your own personal wellness journey. It will show you which CREATION areas you are stronger in and which ones need improvement in your life. Once you know where you are, begin making one small change at a time in the areas that you need to work on the most. Several coaches have been putting up displays in their workplace, such as these two bulletin boards made by Takoma's Dietitian, Joanie Scott. The first one reminds people to make healthy food choices and the second one includes ways that people can get active in our community. 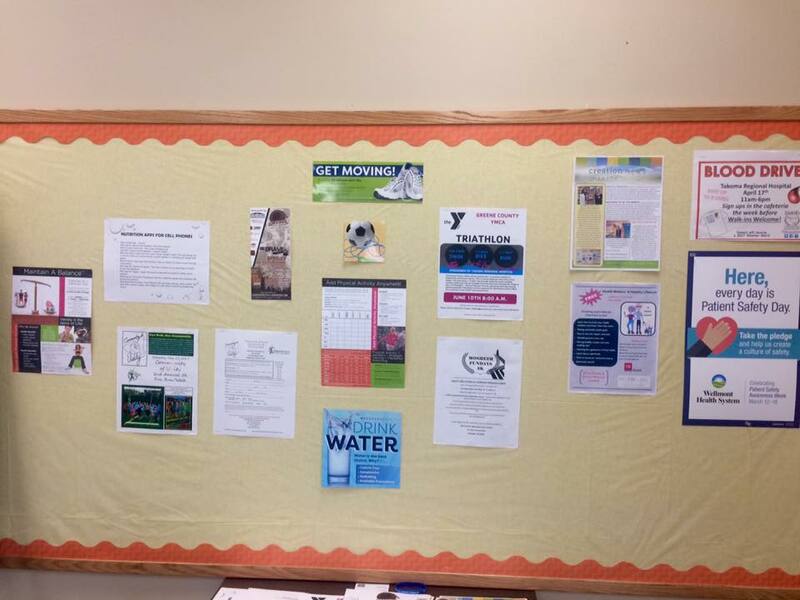 Thank you to another one of our coaches, Tracy Green (Takoma's Corporate Wellness Director) for providing the community information! Coach Cheyenne Bowman created a 30-Day Ab Challenge for her unit, to see who can lose the most inches in their waist. 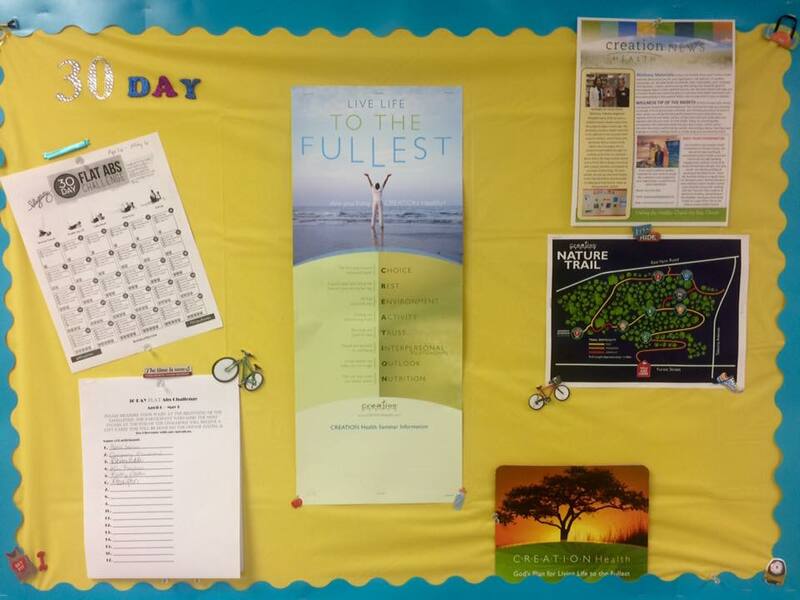 The challenge is displayed on this board that she created, which also contains information about Creation Health and our Nature Trail. 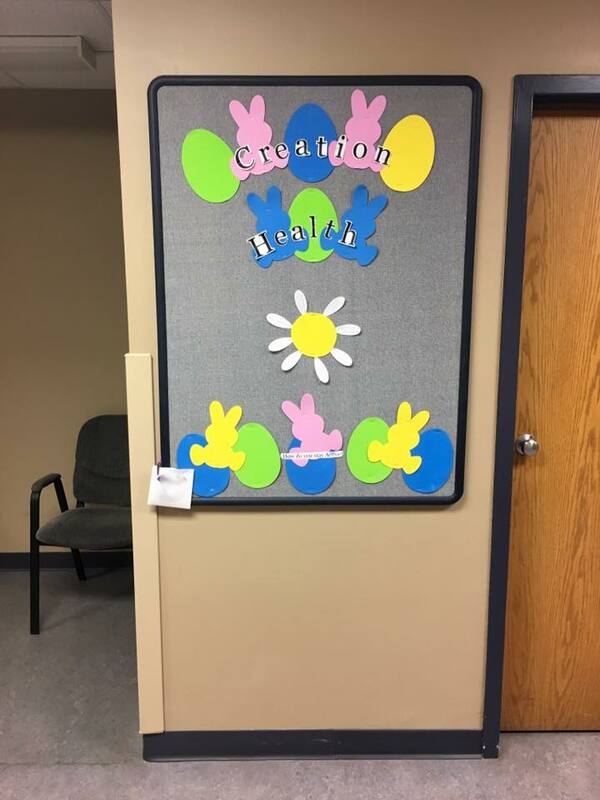 Coach Stephanie Grogan made this cute "Spring into Action" board to encourage people to do something to make a difference physically, mentally & spiritually! One of the most important things our coaches are collectively doing is handing out wellness materials where they are. Janie Strom gives Creation Health tote bags filled with Creation Health goodies to the people she works with at the Roby Center. She does all sorts of fun activities with them to teach Creation Health principles and to help draw a crowd before the wellness speakers come in to speak to them. Joanie Scott hands out Creation Health books and teaches Creation Health principles to all of her patients and to the people in her exercise classes at the YMCA. Angela Nease has created Creation Health handouts to give to her patients and co-workers to encourage them to make good choices. She also hands out Creation Health bookmarks which contain the letter principle reminders. 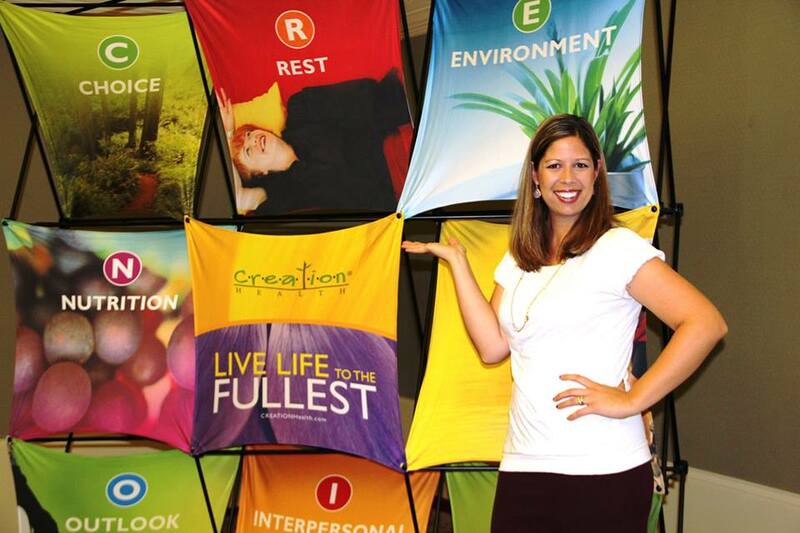 Tracy Green has distributed Creation Health materials to every office in her building and has put them out in the lobbies and break rooms for patients and employees to grab. She also offers them to all of the companies that she partners with. Joyce Mullins puts Creation Health handouts in all of the nursing charts and patient folders in OB. 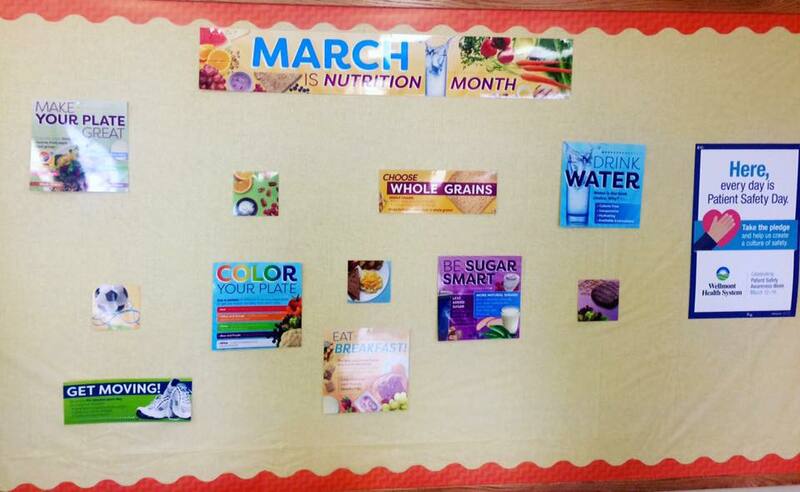 And Jennie Smith sent the "Are You Creation Healthy" quiz link to her entire department. What are you doing to make a difference where you are? 5 Fun Ways to Stay Active as a Family! During the month of May, my coaches and I are promoting I - Interpersonal Relationships. 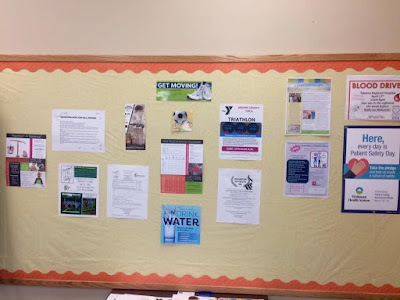 Last month, we focused on A - Activity. A social support system is as vital to our overall health and well-being as staying active, implementing good nutrition and getting rest. With school letting out soon and the beautiful weather this time of year, I have come up with a few ways that you and your family can build relationships while staying active together this spring/summer! 1. Play a game of Backyard Football! -or another game (tag, Frisbee, baseball, etc)…the possibilities are endless, but the point is to get outside and have fun together! -or take a nature hike…anything that allows you to enjoy God’s creation! -or yard, garage, etc…turn the music on and burn some calories while you work! -or a trip to the lake…simply get away from the chaos of life for a day or two, enjoying each other’s company in a new setting! What is your favorite thing to do together as a family? My family and I enjoy riding bikes together and playing 4 Square any chance we get!